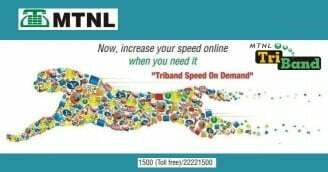 Mumbai’s largest Broadband service provider Mahanagar Telephone Nigam Ltd (MTNL) today announced the launch of “Speed on Demand” Value Added Service for its Broadband users in Mumbai circle. MTNL’s Speed on Demand’ is an innovative offering that enables MTNL Broadband customers to upgrade their Broadband downloading speed up to 2 Mbps and Upload speed up to 1 Mbps for a select duration and pay for only that usage. This ‘Pay as You Use’ model allows customers the flexibility of enjoying high speed broadband to access applications like gaming, downloading movies etc without changing their current low-bandwidth plan. MTNL offering four differential per hour rates to Broadband subscribers depending on his exiting plan bandwidth. 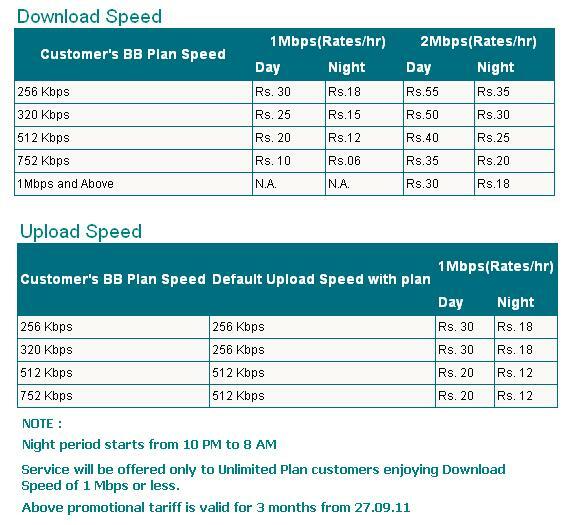 For example, charges for 1 Mbps speed is Rs.30 per hour for customers using 256 Kbps Unlimited plan. MTNL has also offer discounted rates for Night Hours which starts from 10 PM to 8 AM. PLease make plans that makes sense for users and money for u…!